Belts for me are more fashion than function. While it may hold up pants in place for some, I love that it can add that final stylized touch to your outfit, making you look more polished and put together. 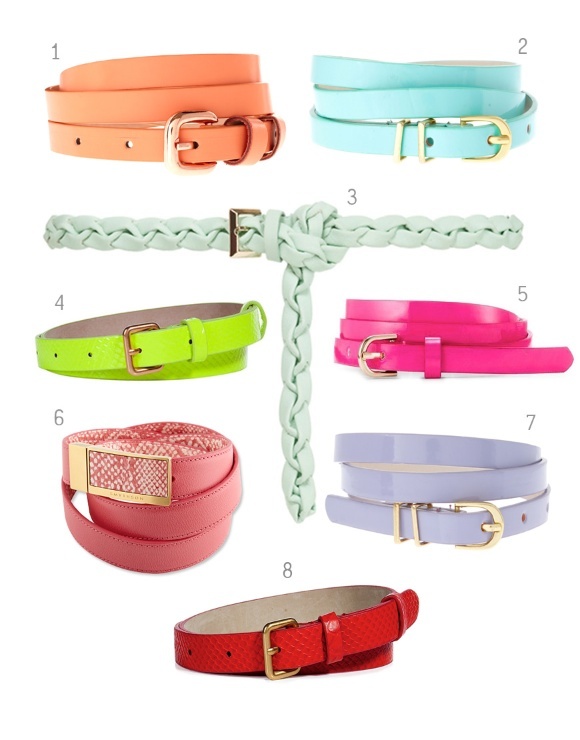 And with the plethora of colourful belts springing up this season, it’s a great way to colour block or spice up neutrals. Whether you wear it looped around your pants or cinched in around your waist, brightly buckle up because you'll be in for a wild ride.